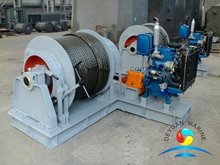 Marine Winch is a mechanical device that has been designed to wind up or wind out or otherwise adjust the tension of a rope or wire rope.For various applications,deyuan marine can offer wide range of marine winches,like endurance marine winch, electric hydraulic mooring winch, hydraulic windlass mooring winch,marine boat anchor winch,Anchor Handling/Towing winches for THC,cargo handling winches and straping winches for supply vessels,tugger winch for offshore vessle ,waterfall mooring winches for work vessle,etc. 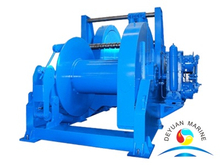 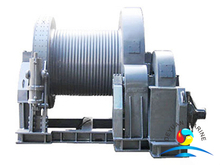 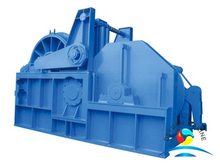 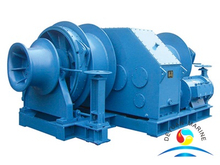 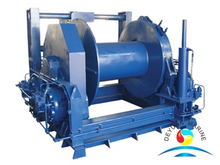 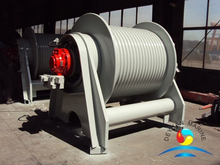 Winches'power source usually with electric driven or hydraulic driven,it can be delivered with single drum or double drum or multiple drum,drums are selectively operated via hydraulic actuated jaw clutch. 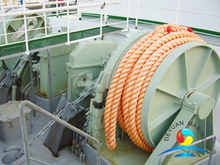 Its control system can be local control and remote control in the bridge.If you want such marine winches,just contact us-one of the best China marine winch manufacturers.